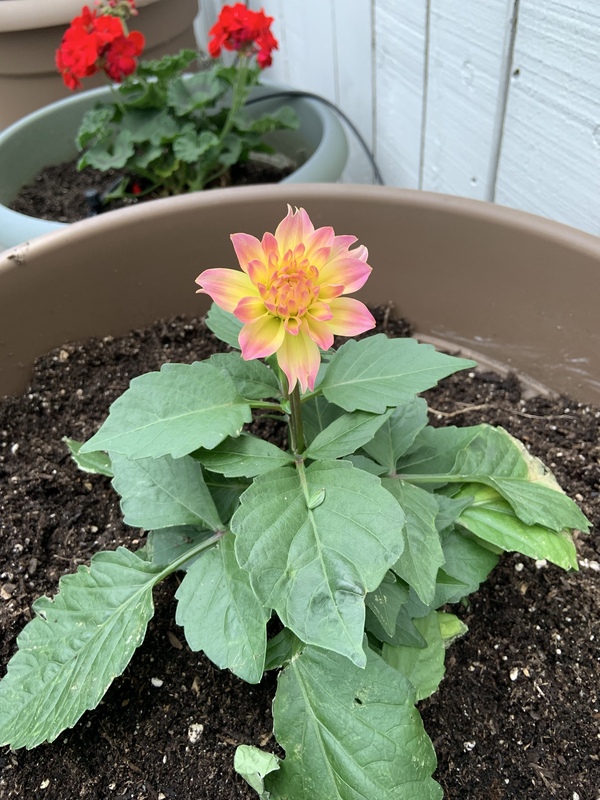 These beautiful two-tone Dahlias, which I found at Costco last week, are now planted in our garden, thus opening the season of planting! I also did a bunch of work preparing the garden, but it was more pulling weeds and picking up dog poo—not exactly the best photo opp. I’m still working on this year’s overall garden layout. Both of the flowers in the photo can be seen from Mama’s bedroom window, which seemed like a good vantage point from which to begin. Today’s #OneGoodThing was beginning the planting for Mama. What was your #OneGoodThing today? Please share in the comments! Day 78 of 365. And Day 1,174 in a row (here’s the first 366, & the following 365, & the third year of 365 good things)!